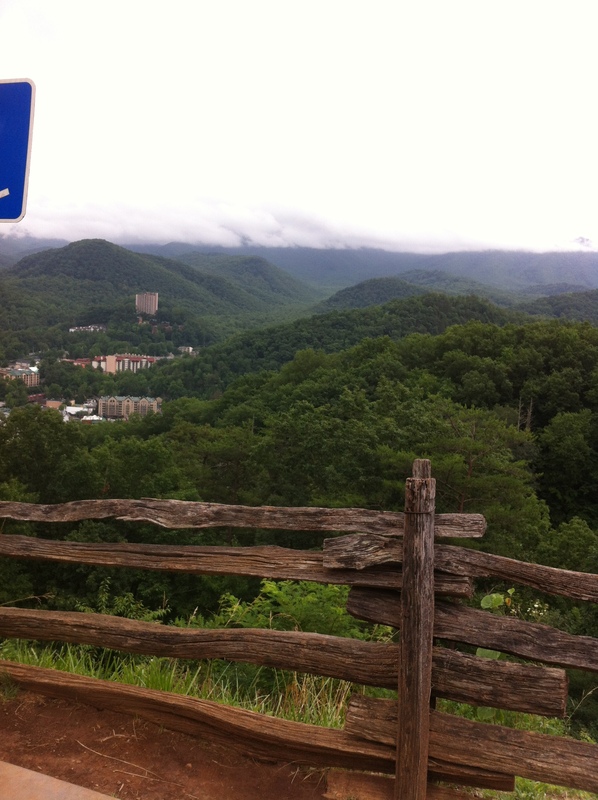 Scenic Overlook in the Great Smokey Mountains National Park. That’s Gatlinburg down there below the haze. That’s one of the reasons they call them the Smokey Mountains. Gorgeous! I think the blue in the left corner is a sign…probably said something like stay off the fence!